16 oz. each jar. 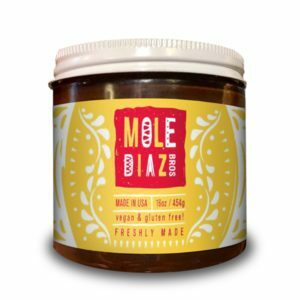 Vegan and Gluten free Mole. 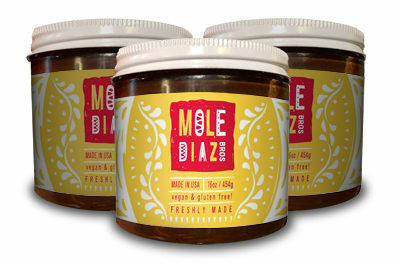 Mole is our celebration to life. A holiday, a feast, a fiesta! Serve over your favorite grilled or stewed meats and veggies. Each package contains 12 jars of 16oz each.